Looking for a premium dab tool that is beautiful and efficient? Mystic Dabbers are a great all around tool perfect for use with concentrates, vapes, and smoke pipes. Every Mystic Timber dab tool is handcrafted in the USA from hardwoods harvested from sustainable forests in Ecuador. The Titanium poker is T2 grade and features a slender tip and ball end that is perfect for use with concentrates. The long wooden handle features ergonomic grip notches and provides perfect balance for a superb user experience. With smooth flat edges your dabber stays in place when not in use and the poker stays elevated off of your table or work area. 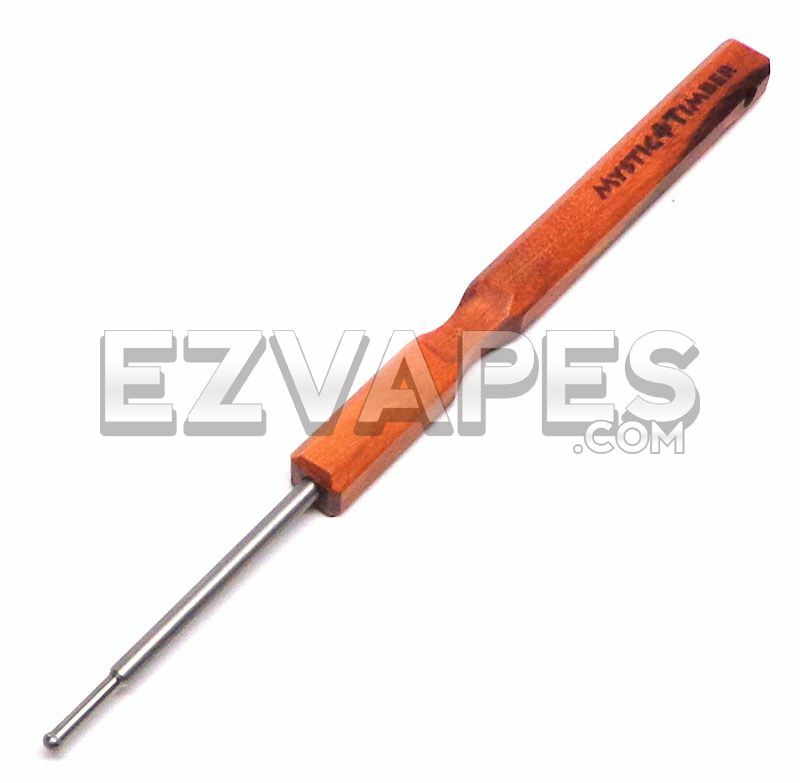 Now you can lay your tool down between dabs without worrying about anything being ruined or lost. Don't work with concentrates? Mystic Timber Midi Dabbers make a great all around tool perfect for cleaning, scraping, poking, or mixing. Mystic Timber Midi Dabbers measure about 6" long with slight variations. Available in assorted wood colors. Need something smaller? We also have 4" Mystic Timber Pocket Dabers.